Promoting Native Perennial Plants for 22 years! Sunday, May 5th, from 11am to 1 pm, we’ll be back at the Hunterdon Land Trust Farmer's Market 111 Mine St, Flemington, NJ 08822. Stop by and see us! We’ll have loads of native plants seeds as well as native plants for sale. Sunday April 28th from 11am to 5pm Toadshade will be selling native plants and seeds at Trailside Nature & Science Center’s Wild Earth Fest (452 New Providence Rd, Mountainside, NJ 07092). Saturday, May 4th we are at the Manada Annual Spring Native Plant Sale out in Hummelstown, PA from 8 to 3 (members only sale from 8-10). The sale is at the Herbert A Schaffner Memorial Park, Parkside Ave, Hummelstown, PA 17036 – Rain or Shine! 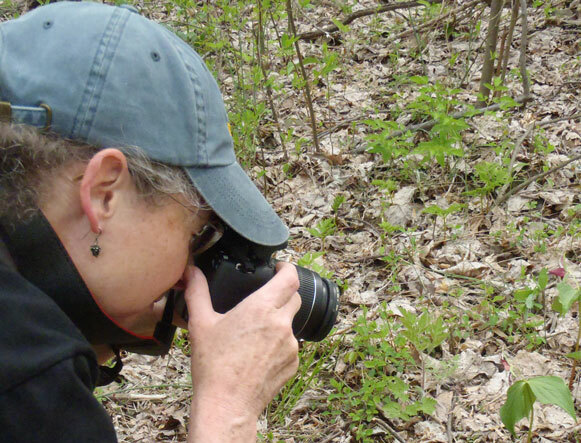 Wednesday, May 8th at 10:30 am Randi will be presenting "Native Plants and the creatures who love them" to the Master Gardeners of Hunterdon County at the Hunterdon County complex on Rt 12, Bldg 1, Flemington NJ 08822. Native plants and seeds will be available for sale. Has your group considered a Lecture, Seminar, and Workshop? Randi is an accomplished lecturer and popular public speaker. If you would like her to come share her knowledge with your local group, be they a garden club, a university class, master gardeners, etc let us know. As you can see, we already have many events booked for this spring and we are already working on other events for later in the year. Welcome to Spring! May we take your coat? Ahhh, Fall is here...What's a Gardener to do? Our plant descriptions let you know how difficult each species is to start and we have a helpful guide that describe the various techniques that you can use to start native perennial seeds. When buying wildflowers, make sure they are propagated, not removed from the wild! If you have any doubt, ask! Some plant species have been driven to extinction in the wild due to the collection of wild plants!